Chart Recorders measure and record data on paper. Applications include Temperature/Humidity in wood drying, room pressure monitoring in clean room applications, and water level monitoring in water treatment. Between a single pen or dual pen recorder, each can be programmed for thermocouple types or process inputs. 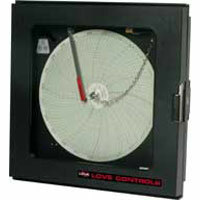 Circular Chart Recorder is a single pen recorder and can be programmed for any of six different thermocouple types. Applications include water level monitoring and temperature/humidity in wood drying. Dual Pen Circular Chart Recorder is a dual pen recorder and can easily be programmed for any of the six different thermocouple types. 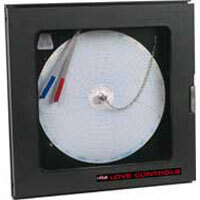 An application is room pressure monitoring in clean room applications.